Although a relatively small part of the United Kingdom (fewer than 5.5 million people, or 8 per cent of the UK population), there have been considerable and important political changes in Scotland over the past fifty years and some divergence with other parts of the UK, and perhaps England in particular. Those include an apparent shift to the left in voting behaviour, the creation of a devolved Parliament that has continued to gain new powers, a growth in support for independence, and a considerable majority of voters in Scotland supporting remaining within the EU at the 2016 referendum. 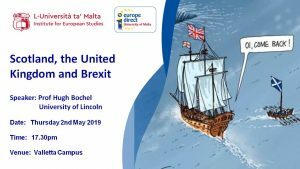 This lecture outlines some of the key changes that have taken place in Scotland and the UK, and seeks to explain the reasons for the apparent growing divergence, and the implications of Brexit for the relationship between Scotland and the rest of the UK, and indeed for the future of Scotland. Find more about the event here. 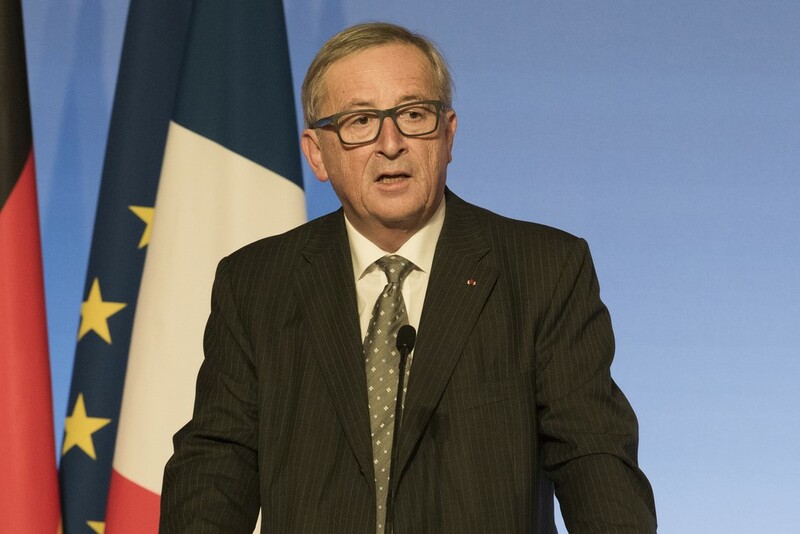 The State of the Union, organised by the European University Institute (EUI), is a high-level conference for reflection on the European Union. For a few days, the city of Florence becomes a hub of debate as experts from around the world gather to discuss the most pressing issues faced by Europe today. 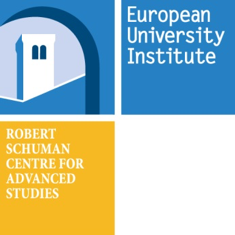 The State of the Union forms a key part of the European University Institute’s contribution to European and international debates on governance, integration and the shared challenges of a globalised world. Find more about the event. 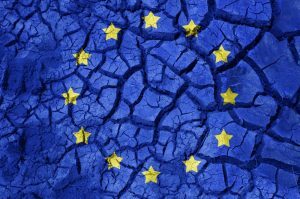 May 4, Élections européennes : comment construire une Europe plus durable ? Les candidats nous répondent ! 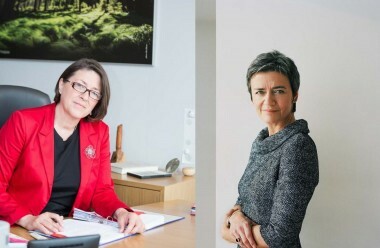 Citizens' Dialogue with Commissioners BULC and VESTAGER — "The EU and the 4th industrial (r)evolution: Opportunities, challenges, and blind spots", 06/05/2019 from 19:00 to 21:00, College of Europe, Campus Verversdijk (Verversdijk 16 Bruges). On Monday 6 May 2019, the Department of European Political and Governance Studies welcomes European Commissioner for Transport Violeta BULC and European Commissioner for Competition Margrethe VESTAGER. Digitisation is changing our society on all levels: social, industrial, regulatory, conceptual and philosophical. It brings about new technologies, business and social models. It poses challenges and opportunities for citizens, businesses as well as regulators. We need to be ready to take a fresh look at our rules in all areas to make sure they are up to date and relevant. We need to ensure that we get the best out of the new technologies while still preserving a level playing field and fair competition. The two Commissioners will intervene on this and more during their Citizen's Dialogue on "The EU and the 4th industrial (r)evolution: Opportunities, challenges, and blind spots". Following their speeches, the debate will be opened for a Q&A session. After the conference, participants are invited to join for a wine and snacks reception in the foyer. The event is open to students from all departments and external audience but registration is required before Monday, 6 May 2019. 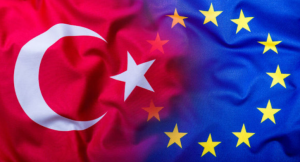 The Istituto Affari Internazionali (IAI) and the Mercator Stiftung and Istanbul Policy Center (IPC) organise the fourth event of the Global Turkey in Europe V Programme "Eu-Turkey cooperation on migration management: going beyond ad hoc short-termism". Today, we are at a point when intra-EU political deadlock continues to exert pressure on frontline member states and tilt Europe towards further externalisation, accompanied with transactionalist approaches. As for the EU-Turkey cooperation, the expiry date of the Statement and the Facility for Refugees in Turkey is fast approaching. Thus, it is high time to put sustainability at the heart of the debate. This also allows us to tackle through a coherent framework the interrelated challenges of: (i) EU-Turkey joint governance of mixed migration flows, (ii) going beyond the emergency reception mode in Greece, and (iii) enabling refugees’ self-sufficiency and cohesion with more resilient local communities in Turkey. Approaching these issues through a sustainability lens, the fourth GTE workshop aims to foster debate among a diverse set of stakeholders on how to go beyond the currently predominant ad hoc short-termism and unpredictability of EU-Turkey migration management cooperation. 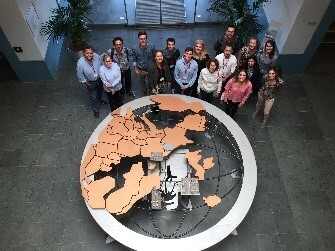 The Migration Policy Centre (MPC) of the European University Institute will be hosting an afternoon discussion of the politics and policy of migration at the 2019 European Parliament elections; recent changes in public attitudes, party positions, likely future policy dynamics and a predictive model to forecast the result of the election based on findings of the MPC will be presented. For more information click the following link. Find out more about the programme. A career diplomat for the Egyptian government, Nasser Kamel held the position of Ambassador of Egypt to the United Kingdom from 2014 to 2018. He was also Ambassador to France in the period 2006-2012, during which he took part in the drafting of the Joint Declaration of the 2008 Paris Summit that marked the launch of the Union for the Mediterranean. Furthermore, between 2012 and 2014, he was Assistant Minister for Arab and Middle Eastern Affairs. From 2004 to 2006, he was the Director of Egypt’s Public Information Service. Prior to this position he served in various embassies, including Washington (1984-1988), Lisbon (1990-1994), Tunis (1994-1998), Brussels (1999-2001) and Paris (2001-2004). Nasser Kamel studied Political Science at Brussels University (1977-1979) and Cairo University’s Faculty of Economics and Political Science, obtaining his bachelor’s degree in 1981. He graduated from the Diplomatic Institute – Ministry of Foreign Affairs in Cairo (1981-1982) and the École Nationale d’Administration (ENA) in Paris (1982-1983). He holds the title of Grand Officier de l’Ordre National du Mérite of the Republic of France and has also received decorations from the Kingdom of Belgium and the Republic of Portugal. 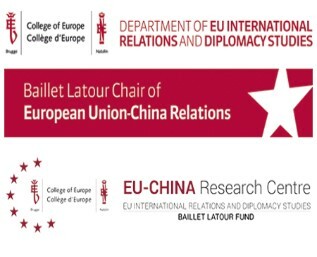 This international conference brings together a wide range of top-level academics, practitioners and policymakers, from both the EU and China, to set the stage for a crucial stocktaking exercise, aimed at assessing the scale and scope of both progress and problems in relations between the EU and China, as well as their mutual perceptions. Registration is required using the form below before 6 May 2019 at 12:00 noon. Irregular migration across the Mediterranean is still high on Europe’s political agenda. Despite fewer attempts to cross the Sea in the recent past, pressure has been mounting on the European Commission and the most affected EU member states to find ways to manage migration flows more effectively. This workshop discusses the role of two specific policies – development aid and legal labour migration pathways – in medium – to long-term strategies for addressing the root causes of migration and for creating safe and orderly alternatives to irregular migration. The workshop is co-organised by the Mercator Dialogue on Migration and Asylum (MEDAM), Istituto Affari Internazionali (IAI) in Rome, the Migration Policy Centre (MPC) at the European University Institute (EUI) in Florence, and the Centre for European Policy Studies (CEPS) in Brussels. 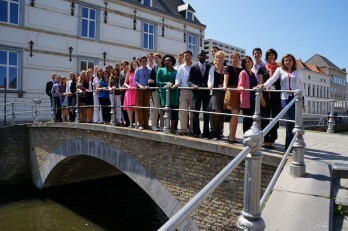 Convenors : Sciences Po, Centre for European Studies and Comparative Politics (CEE), Observatoire français des conjonctures économiques (OFCE), Paris School of International Affairs (PSIA), School of Public Affairs (EAP). On 23/24 May 2019, the 4th International EUCACIS Conference “The EU, Central Asia and the South Caucasus: new approaches on regional and international cooperation” will take place at Park Hotel in Bishkek, Kyrgyzstan. Experts from the European Union, the South Caucasus and Central Asia will come together to discuss conflicts in the South Caucasus, take a close look at the latest events in Central Asia as well as explore possibilities for cooperation and dialogue between the European Union, the South Caucasus and Central Asia in three different panels. The conference will be a great opportunity for international researchers and practitioners to meet, exchange, and strengthen the bonds between the three regions. 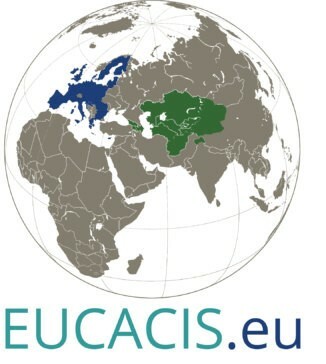 The EUCACIS fellows are strongly involved in the conference organisation and will also present their scientific research to the international experts. 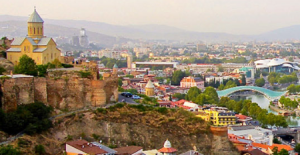 The 2019 conference will focus on the relationships between knowledge production, attitudes and governance on migration between Africa and Europe. The conference aims to understand more about these gaps and also to think about whether and how they can be bridged. Centre for Democracy and Law Miko Tripalo, Rijeka 2020 and University of Rijeka are organising, in cooperation with Culturelink/IRMO and Observatoire des politiques culturelles, France, a conference on International Cultural Relations of the European Union – Europe, World, Croatia to be held on 30 and 31 May 2019 in Rijeka, the European Capital of Culture 2020. The aim of the conference is to encourage dialogue about the opportunities and challenges of today's international cultural cooperation and to analyse the modalities that lead to more intense and more functional global cooperation and exchange between the European Union and the world. Rapid changes that mark today's world (revolution in digital communication, rise of social media, new global actors, rapid urbanization, changes in cultural values) raise questions about how to support, enhance and strengthen the practices of cultural exchange and interaction. 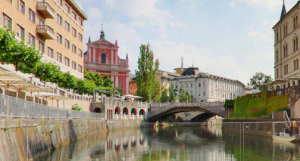 The main topics of the conference are the following: The role of cultural policies in fostering international cultural cooperation; Cultural networks - the expression of cultural changes in international relations; Cultural Diplomacy: strengthening external relations in a globalized world; Croatia in international cultural cooperation. For more information, please visit the link. Find more about the programme on this link. 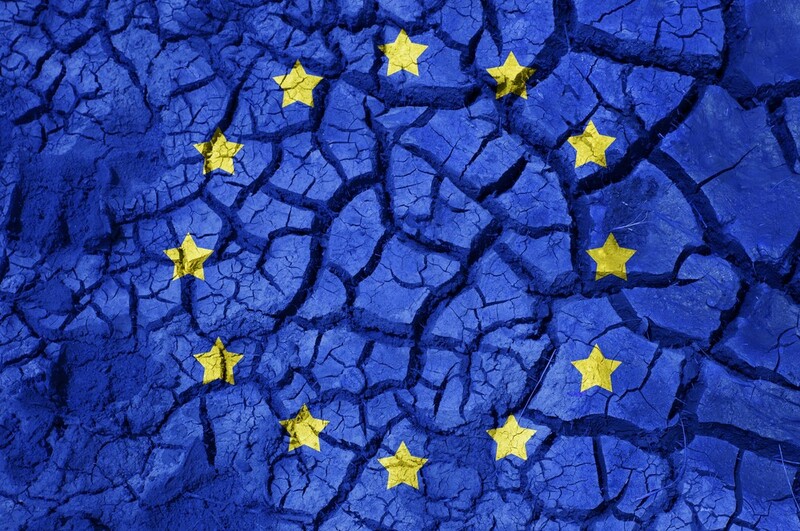 All you need to know about the EU, its decision-making process and policies! Choose the three-, two- or one-week course tailored to your level of experience. Know more about the seminar. Energy Union: This two-week executive training course embraces the logic of the Energy Union, thus putting energy consumers – i.e. businesses and households – at the centre of European energy systems and policy-making. More information about the seminar. Organisé dans le cadre du programme de recherche MARG-IN, qui est financé par l’Agence nationale de la recherche, ce colloque entend contribuer aux débats en cours sur la lutte contre la pauvreté en identifiant, à partir de l’examen des jeux d’acteurs liés à la mise en œuvre des politiques, les processus d’insertion sociale et économique qui pourraient servir de base à la construction de nouveaux dispositifs en phase avec la demande sociale et avec les réalités locales. Il se déroulera à Paris les 4 et 5 juillet 2019. Pendant ces deux jours, les chercheurs seront invités à échanger leurs points de vue avec les acteurs institutionnels, les acteurs de terrain (professionnels de l’action sociale et militants associatifs) et les personnes en situation précaire. Ces échanges serviront de base à l’écriture d’un texte commun jetant les bases d’une approche de la lutte contre la pauvreté « par le bas », et à large diffusion. Click here for the the events archive.